This website was created with the aim of providing information on pleural thickening ranging from the different types of pleural thickening, what causes pleural thickening to develop, what symptoms a sufferer would typically encounter, and how to get the condition diagnosed and treated. Pleural thickening is a lung disease that describes a scarring, calcification, and/or thickening of the pleura (the lining surrounding the lungs) often as a consequence of the inhalation of asbestos into the lungs. If the asbestos fibres work their way into the pleura, they can cause the pleural thickening condition. Pleural thickening tends to cause sufferers a tightness of the chest or breathlessness which is attributed to the reduced lung function that the thickening causes. Pleural plaques are caused in much the same way as pleural thickening but they are localised and the sufferer usually does not get the symptoms that a sufferer of pleural thickening would. In fact it is entirely possible that people with pleural plaques can live with the condition undiagnosed with no problems for the remainder of their lives. A main cause of pleural thickening is the prolonged exposure to asbestos so jobs where workers have been exposed to asbestos – sometimes for 10 years or more are at more risk of developing the condition. 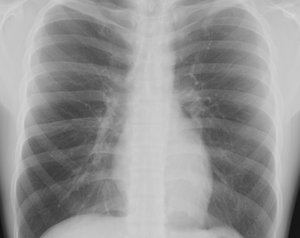 It is not uncommon for pleural thickening claims for compensation to be made against the current or former employer of a worker suffering from pleural thickening if the worker can prove (amongst other things) that the pleural thickening condition was caused as a consequence of their exposure to asbestos as work.